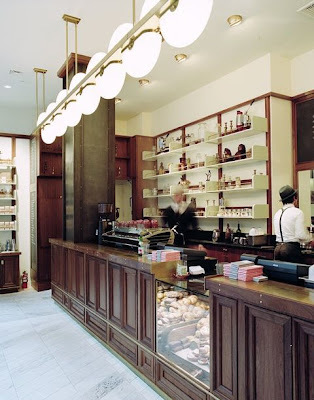 Last Fall MADE completed the installation of Stumptown Coffee Roaster’s first café in the Big Apple. 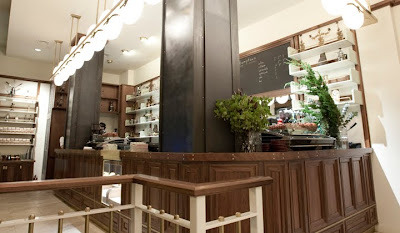 Designed by Roman and Williams, and adjacent to the new Ace Hotel, the café boasts bold uses of walnut, brass, and steel. 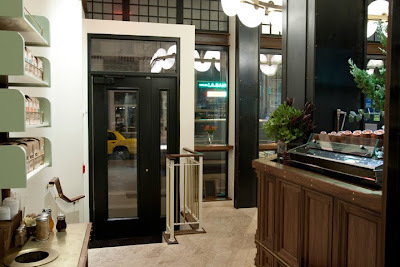 We enjoyed a very busy two weeks in Manhattan scribe fitting and installing the bar, condiment stands, and window bars. One thing about New York buildings—they are anything but level! Now if we just lived a little closer, we could go grab some coffee! 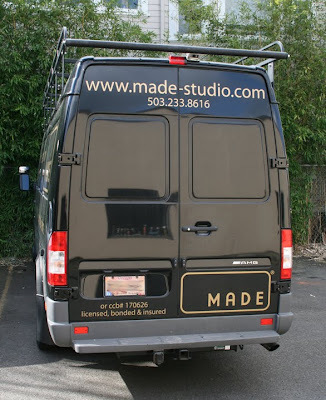 The bar face is made of traditionally joined frame and panel sections. 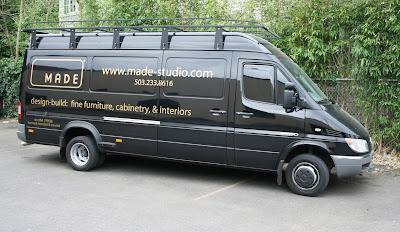 The wood is solid walnut frames with custom veneered, book-matched walnut panels. View down the front of the cafe. This is the view from the entryway. 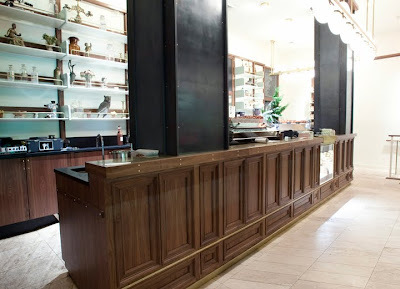 The front corner of the bar is at a 45º angle, built with mitered construction. 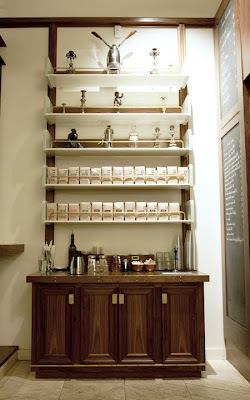 Condiment stands: We built two for the space, and the pulls are custom milled from solid 1/4″ brass plate. 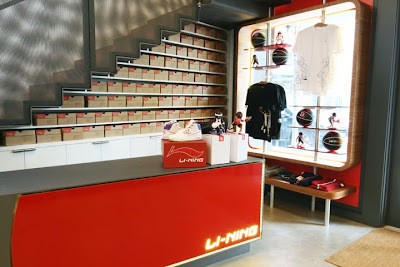 LI NING IS UP AND RUNNING! 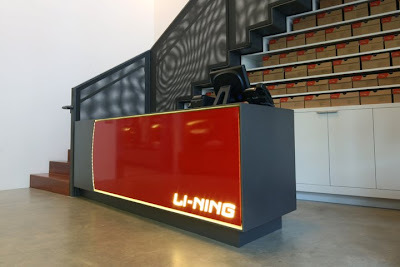 MADE is proud to reveal Li Ning’s first US retail store. 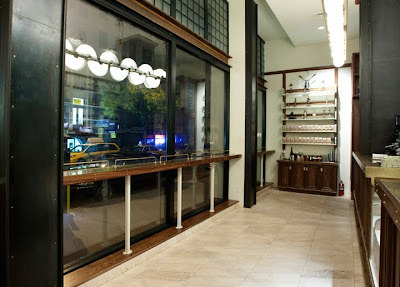 Located in Portland’s Pearl District, the retail store was installed in the foyer of their corporate headquarters. 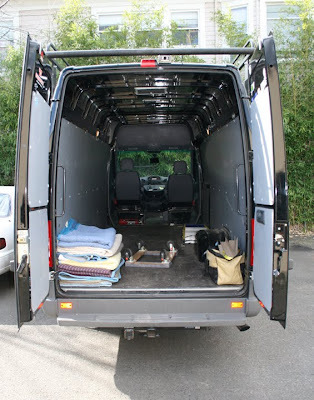 The showroom posed many challenges and engineering feats. 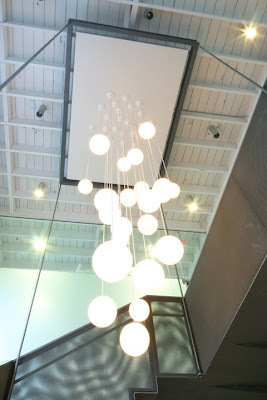 MADE designed and built their main displays, customer counter, and a 22-globe chandelier installed 36 feet in the air. For those of you that don’t know, Li Ning is a Chinese sportswear company, specializing in badminton, ping-pong, and tai chi gear—they also have a foothold in the NBA with the Clipper’s Baron Davis. Look for a second location to open soon. The main display consisits of 19 custom built display boxes. Each display is lit with a LED light strip. The customer counter is powdercoated steel with a red aluminum facia. The lettering is milled acrylic, installed in the water-jet cut-out and backlit with LED lighting. Behind the customer counter is the back-stock display. 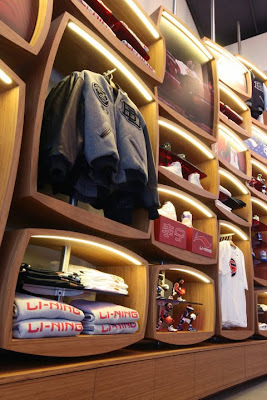 Rather than hide it is another room somewhere, we built shelving to showcase the Li Ning boxes. The shelves are built to fit exactly within the existing staircase’s structure. 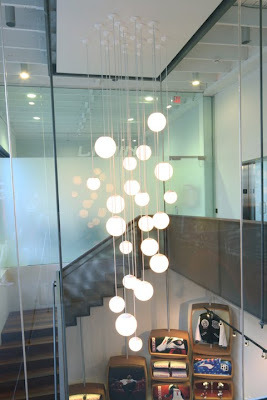 MADE also installed this chandelier, using 22 store bought glass globe pendant lights. The ceilings are 36′ high, and we had to hoist the soffit in place using pulleys and rigging gear. View of the store from above. The existing stairwell pushed the design and layput of the store, as there was no way to work around it.